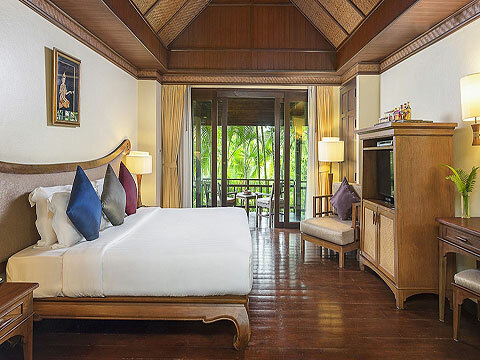 42 superior rooms in a 3-story building are the least expensive rooms in this hotel. 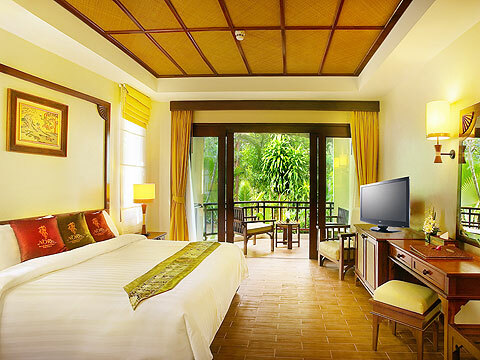 The rooms are spacious (39 sqm) and tastefully decorated with soft colors and Asian style furniture, creating a natural and relaxed atmosphere. 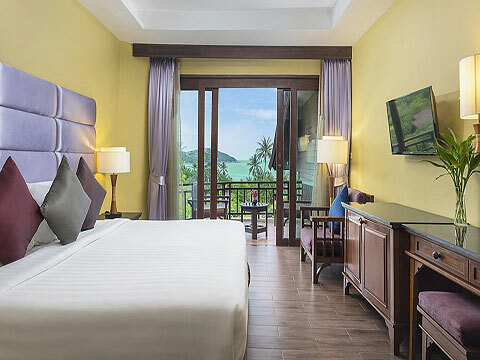 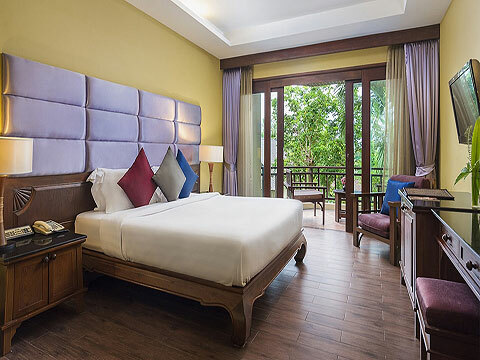 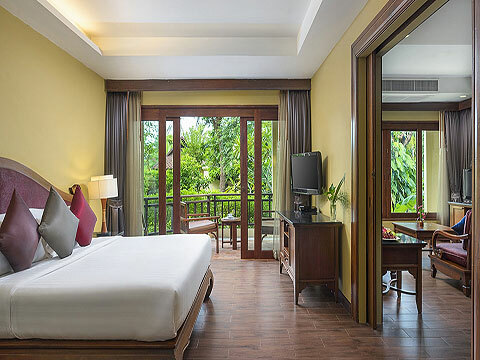 Each room features a private balcony where you can enjoy your drink admiring the beautiful tropical garden. 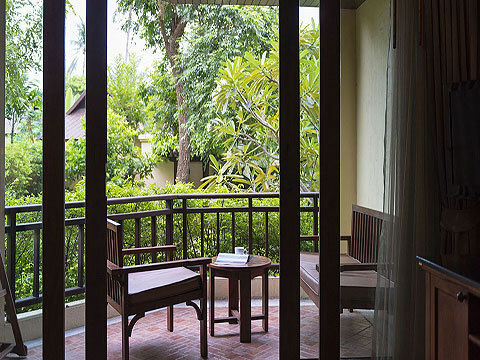 Some rooms on the second and third floors offer a sea view. 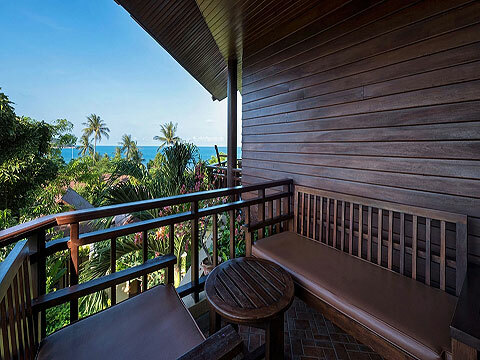 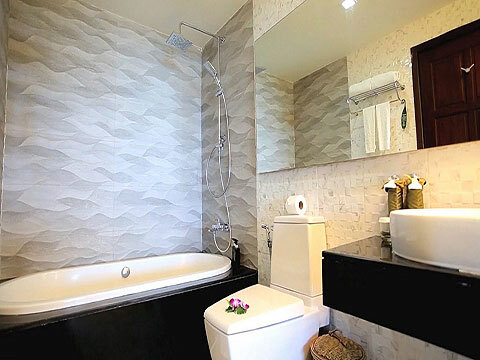 There are two kinds of villas, Nora Villa and Nora Ocean Villa (63 sqm) They have the same layout and amenities, but Nora Ocean villas are closer to the sea and offer fantastic sea views. 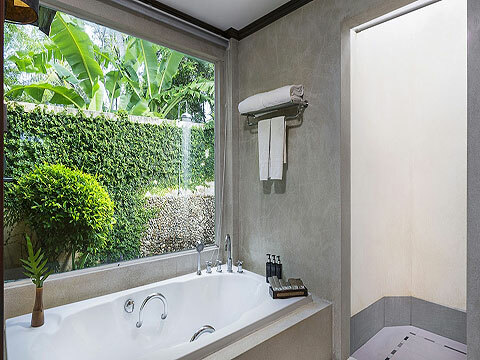 Each villa features a bathroom with a large window and a private garden with an outdoor shower. Some villas are located very close to the stream; the guests can fall asleep to the music of the stream. 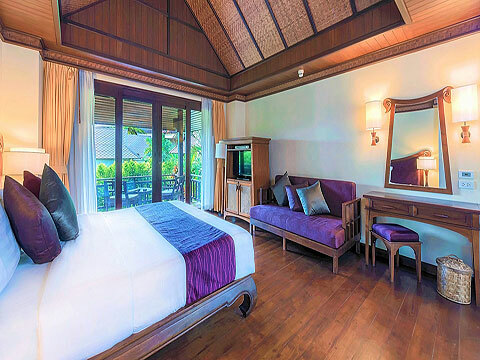 Room of Nora Ocean Villa. 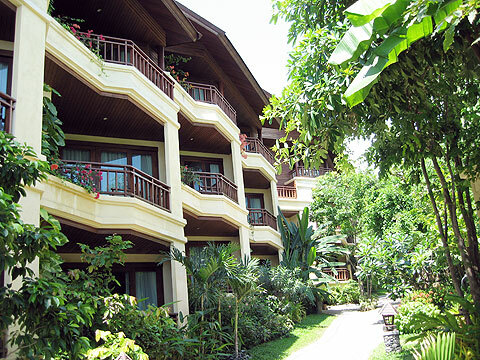 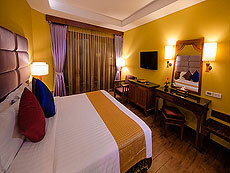 The hotel offers 6 Nora Tropical Suites (71 sq.m.) 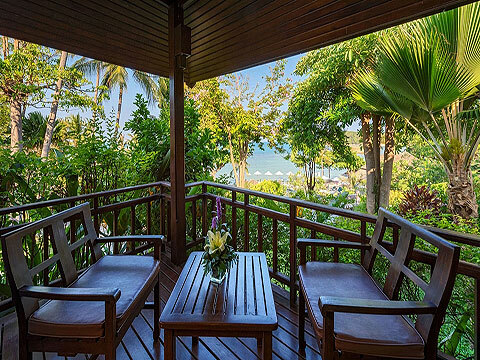 with sea views. 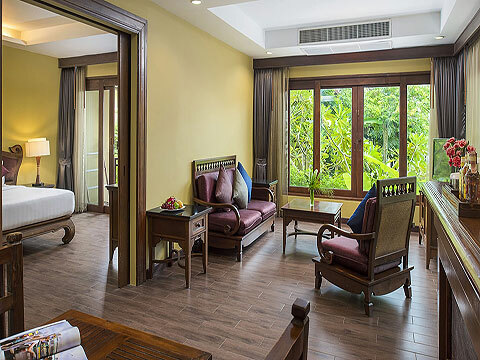 Each suites features a spacious living room with dining area, bar counter, and large windows which bring in a lot of natural light. 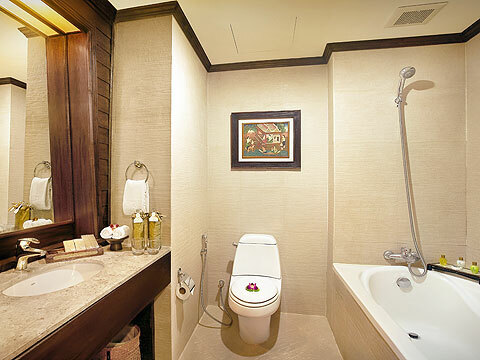 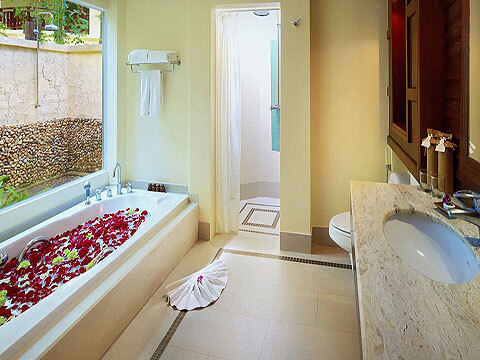 These bright and luxury suites are highly recommended especially for honeymooners and couples. 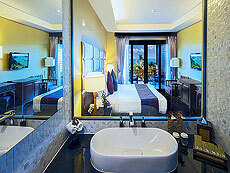 The hotel offers 10 Beachfront Pool Villa Suite (123 sq.m.). 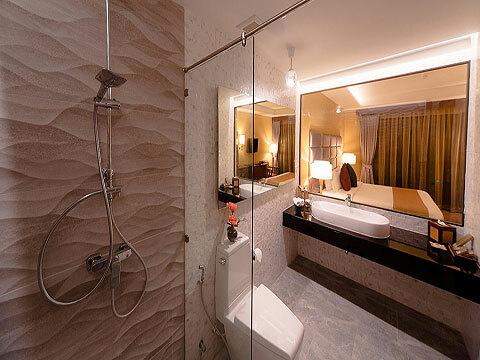 They are spacious, and each suite consists of a bedroom, living room and private swimming pool size 3.5 ﾗ 6 m. The living room is equipped with an espresso machine. 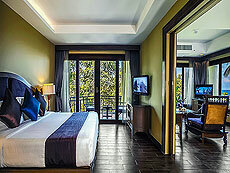 Situated right on the beach front,it offer the ultimate luxury and relaxation.